For this full-service beauty and wellness spa located in the Barceló Hotel, we designed a website that makes it incredibly easy for both new and existing customers to quickly book the services they want, along with highly detailed presentations of each service offered for those visitors looking to find out more about any given service. In addition to the website design, this client enjoys our hosting and social media management services. 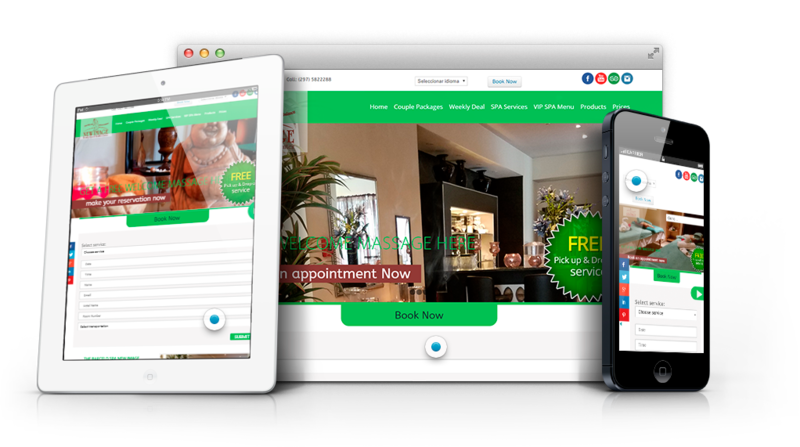 Fully responsive website focused on easy booking. Detailed menus and descriptions of services offered. Image galleries to supplement each service.